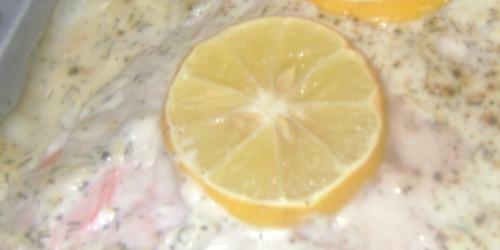 Whisk together sour cream, mayonnaise, garlic, lemon juice and zest, dill, salt and pepper. Set aside. Arrange salmon fillets in a baking pan. Cover well with lemon-dill sauce. Top each piece of salmon with a few lemon slices. Bake for 20-25 minutes or until salmon is cooked to desired done-ness. When salmon is mixed with lime or lime juice it gets one type of soar taste to it. That is very healthy one and lot of vitamin C will be present in that juice. The early morning drinking of that juice will help to keep our body active and healthy.